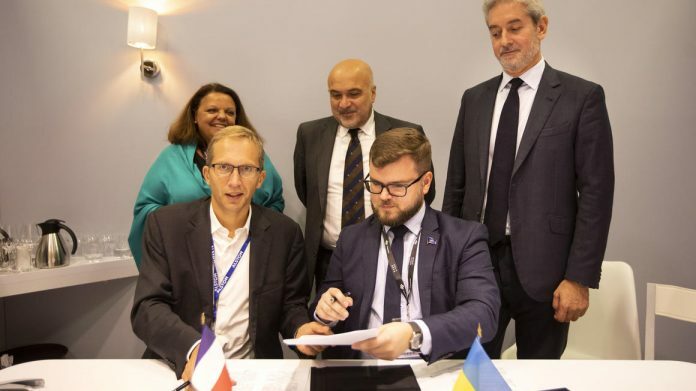 An initial agreement has been reached between Alstom and Ukrainian Railways (UZ) over the provision and maintenance of electric locomotives. Signing a memorandum of understanding (MOU) at the trade show InnoTrans, UZ acting chair Yevgen Kravtsov said it represents the starting point of cooperation between the two parties. “Maximum localisation” is an essential condition of the cooperation Kravtsov added. Alstom has already opened an office in the country following preliminary meetings in April. UZ seeks to increase the amount of electrified railways from 47 per cent to 54 per cent in the next two years.